Recognizing that relations between the USGA and two of the leading professional tours, the PGA Tour and the LPGA, need to be better, the USGA is in the process of hiring at least two people who will be overseeing the USGA’s relationship with the game’s elite players. For the USGA, the hits keep coming. Last week it was mild-mannered James Frederick Webb Simpson, former winner of the USGA’s marquee event, the U.S. Open, who came out guns ablazing. Who knows what oddness will transpire at the Valspar tournament this week? Oh, and here’s a stray question leftover from last week: If you take your ball out of the cup before it comes to rest — a la Kevin Na with Tiger on 17 in the third round of the Players — have you broken a rule? Patience, young grasshopper, while we consult the new-and-improved, shorter-is-better USGA Rulebook, the 2019 model. As for Simpson and various of his colleagues — Mssrs. Justin Thomas, Bryson DeChambeau, Rickie Fowler, et al. — the USGA is now swinging back! Actually, OK, no — that’s not happening. The folks in Liberty Corner, N.J. (Far Hills is getting fazed out) are decidedly nonviolent. Its sprawling campus is not only smoke-free, it’s melee-free, too. The USGA, via its own communications department and through an outside PR company called the Buffalo Agency, is making two senior USGA officials, John Bodenhamer and Thomas Pagel, available to reporters to discuss the various changes to the new rulebook. 1. Recognizing that relations between the USGA and two of the leading professional tours, the PGA Tour and the LPGA, need to be better, the USGA is in the process of hiring at least two people who will oversee the USGA’s relationship with the game’s elite players. 2. The USGA, hearing top players use the word “intent” more when questioning the application of rules, wants golfers to realize that a goal of the rulebook is to take the onus off the player whenever possible. That is, to be as cut-and-dried as possible. Introducing “intent” into any rules discussion is to like swimming in pea soup. 3. A fundamental aspect of golf has been in place for centuries: play the ball as it lies. The rest, as the wise man once said, is commentary. 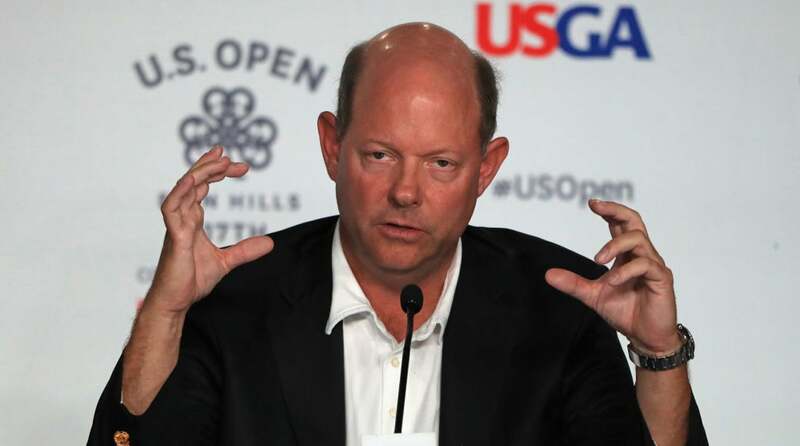 The USGA, under the leadership of executive director Mike Davis, is aiming to improve relations with Tour pros. Let’s look at the Simpson situation, only because it’s fresh and also illustrative. Simpson had an unfortunate event. Golf, like life, is filled with them. The long, tacky end of his long heavy putter got tangled in the clingy fabric of his bright-red Sunday shirt. His putter head nudged his ball and moved it, Simpson estimated, a quarter-inch or so. The rules are clear. On the green, he would have had no problem. But he was off the green. He put the ball back to its original location and added a shot, as the rules require. But he wasn’t happy about it. Well, the game’s not dead yet. At the Players, despite his one-shot penalty, Simpson’s T-16 finish earned him $59,000. Somebody paid him that money. (We the people, ultimately.) When Simpson won the Players last year, he made nearly $2 million. When he won the Open at Olympic, the USGA cut him a check for $1.44 million. If he wins it again this year, it’ll be another $2 million. Plus, he gets to play Pebble Beach for a week, gratis. Golf’s rulebook, by necessity, tries to do two seemingly contradictory things simultaneously. It puts the onus on the players to police themselves. But also seeks to reduce temptation. The rules typically tell you exactly what you have to do. It goes without saying that the rulebook is the starting point for all serious competitive golf. “A fundamental principle of golf is ‘play it as it lies,’” Pagel said. “So what happened to Webb was unfortunate.” But he was not going to play the next shot as he had inherited it, and that’s a problem. 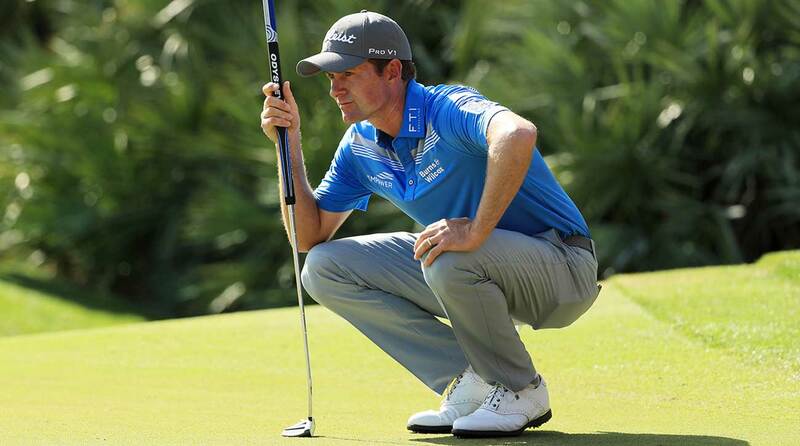 Webb Simpson has taken issue with the rules. The rules are, and always have been, a work in progress. But this period in the game is like none that has preceded it. For decades, the game’s most important and popular figure, Arnold Palmer, was the official and unofficial face of the USGA. He helped elevate and preserve the USGA’s standing to millions of ordinary golfers and thousands of touring professionals. The USGA continued to rule from on high. The AP-USGA relationship faded over time, in part because of a 1999-2000 dispute over a thin-faced Callaway driver, and nothing has replaced it. Now the USGA is looking to hire a person for the Palmer role. But that person won’t be Arnold Palmer, and won’t be doing the work on a pro bono basis. You almost wonder if this USGA-PGA Tour liaison role would work better from the start if the position were jointly funded by the two organizations. The USGA recognizes that the top-down order of golf, so obvious when Palmer won the U.S. Amateur in 1954 and still in evidence when Tiger Woods won his first U.S. Amateur in 1994, is undergoing a revolution. Over most of its life, the USGA represented golf’s upper class and its officials were golf’s ultimate Establishment figures, while the players, even if they were rich and famous, even if they came out of country-club backgrounds, were engaged in a working-class profession. There was a hierarchy. Now the Tour player flies private and the USGA officials, blazers on their arms, fly coach, and money and fame and status trumps all. Tiger Woods has 6.4 million followers on his Twitter account, while the USGA has 300,000. A dozen or more reporters, plus cameras from Golf Channel/NBC Sports and other outfits, were trained on Simpson when he made his post-round remarks. In the meantime, golf’s most important ruling body will continue to do its important work and try to find a way to get the public and the world’s best golfers to understand why it does what it does and why it’s important.